Making the #Blackpound work for US! I trust you’re well, and that this message finds you in good health and spirits Sir. LACK OF REPRESENTATION – That neither, you yourself, or indeed ‘Our Community’ both as ‘Working Class’ and ‘Black African’ people, DO NOT BENEFIT, from national or international ‘so called’ Charities, even when what they do, is done, in ‘Our Name’, supposedly for ‘Our Benefit’ – WE DO NOT BENEFIT! We have, as does any ‘group’ in society, which these Charities purport to BENEFIT – A serious lack representation, in terms of, service contracts, both professional and employment, as well positions as Trustees, board members etc. RESERVE FUNDS – David, all these major charities, have at LEAST! – £50m and up to £500m, just sitting in the Bank, to meet staff wages and professional contractual obligations. Again, we do NOT benefit. Most don’t even bank ethically, with the Co-op or otherwise. What investments they do have, again, do little or NOTHING for the ‘Working Class’. LACK OF TRUST + CONFIDENCE – Sir, please, forgive my boldness. However, I assume that the cost and time, involved in you sending this text I received yesterday, is borne solely by your goodself, as a Pensioner! That neither you, or any friend or family member, has any ‘contract’, with this charity – A position on the ‘board of trustees’ to even, receive, an ‘honorarium’ or expenses. Nevertheless, you give-up your very precious, valuable time and considerable ‘expertise’, for this charity organization, which has little or no regard for you personally, as an African man, or indeed, the African Community, as a ‘whole’, moreover, the African Race, or even ‘Working Class’ people. It is a middle-class – upper-class – white – male society. That benefits, to the tune of 70 to 80pc min. and as much as 90 to 99pc! – Of Donations. CAMPAIGN TO MAKE A STAND – Sir, as you may recall, I’ve put 3 yrs of my personal time, and expense, into efforts to; REPRESENT – ‘Our Blackpound’, and demonstrate, ‘Our Spending Power!’ Defend and STAND-UP to such social and economic inequality. Yet only one person I know of, WHO IS PERSONALLY RESPONSIBLE FOR 1,300 to 1,400 Supporters, (DJ Knowledge – Allan Okello) has mentioned The One Million Households Campaign or done some act to ‘spread the word’, introduce or invite 250+ people to the OneMillionHouseholds on line Campaign. However, I do see people working overtime, second jobs, (mainly ‘Commission ONLY) for schemes, brands, corporations, which again, have no direct or indirect ‘benefit’, to ‘Our Community’… They even used the Campaign’s Facebook ‘Wall’, to promote these schemes; owned managed, directed and benefiting, white – male – middle-class people…Who have and take NO INTEREST, in ‘Working Class’ people. NO TEXT – Sir, I do indeed recall, you ‘specifically’, asking me to kindly, NOT SEND YOU ANY MORE TEXT messages regarding the Campaign. Yet, again, whilst I respect, you….Applaud your passion and commitment. I can NOT but only, observe, and comment, on the ‘IRONY’ and ‘CONTRIDICTION’. T-Mobile’s; Business 2 Business contracts, Investment Portfolio, Corporate Sponsorships, Grant Funding, Community Funds or Scholarship Funds! David, collectively, or individually, we DON’T own HALF OF ONE PERCENT – 0.5% of T-Mobiles shares! Yet, in ‘Our Community’, from people on £50 pw Benefits to professional footballers, on £50,000 per week Wages, we spend MILLIONS with T-Mobile… Which I estimate to be £30m to £50m (£30,000,000 to £50,000,000) per week! STRATEGIC VOICE – David, we need a VOICE – WE NEED TO STRATEGICALLY MAKE REPRESENTATIONS TO T-MOBILE! WE NEED A COLLECTIVE ORGANISATION – A UNION OF NOT JUST THE 2/3M that T-Mobile view and see ‘us’ as. We need a UNION representing the ‘Households’ we live in and the people we as African UK Residents, have BIOLOGICAL and LEGAL relationships with. So we may make representations to T-Mobile, NOT as just 2/3 MILLION but 10 MILLION PEOPLE! Even as much as 20 MILLION PEOPLE! Sir, I hope, you might indeed, invest your efforts equally, and even half as passionately, in something that directly and indirectly, BENEFITS – ‘THE WORKING CLASS at least… Even better the desperate socio-economic situation of African people in the UK. Founder & joint Administrator with 15 others. Let’s CREATE BETTER OPPORTUNITIES in 2012 – For those less fortunate! 2006 Southwark Innovation Award – Double Nominee – WINNER! Please check out the Voice newspaper link below too… Thanks…. Please, show your kind Support, by distributing via email or sharing on Facebook.com or sending the page URL via Twitter.com to your Twitter followers! Let’s spread the word! Before printing please, consider the environment. The Retailer Partnership Scheme/Shield Scheme – This scheme will see local and national retailers and solicitors participate in a scheme, which will require them to DISPLAY a logo of two-hands, clasped together (one Black, one White), with a RED, GOLD, GREEN, BLACK AND WHITE COLOURED circle, retailers will pay 1 to 2% of their annual takings to join the Partnership Scheme, which will qualify them to display the SHIELED RETAIL PARTNERSHIP LOGO. This will create at least 2 JOBS in each borough for Inspectors of the scheme. Retailers will be required to employ or have contracts with people from ‘OUR HOSEHOLDS’, and pay extra for failing to do so. The provision of the printing of the SHIELD LOGO STICKERS for window and door display, as well as a projecting SIGN, which can be illuminated, which means a Black African owned business will be a able to provide the 1,000’s of signs necessary, which can be supported by basic merchandise such as; T-shirts, sweatshirts, aprons, clocks, and street bins, and till receipts, which can be displayed and worn by retailers, further reinforcing their participation in the Shield Retail Partnership Scheme, and giving shoppers an ICON to look out for, which shows participation in the Shield Retail Partnership Scheme. Employment contracts with people from ‘Our Households’ regardless of race or religion etc. Business services and goods, contracting for cleaning, maintenance, professional (such as accounting, and law), building and goods. Donations to charity and community groups, such as youth clubs or national charities, which directly benefit UK African people or are, ran by UK African people. Pension Fund Investment – The investment of pension funds in UK Black African business ventures and start-ups. This will apply particularly to multiple retail chains and major national corporations operating in the UK. WE as a Community need to demonstrate that WE are capable of BOYCOTTING the worst racial offenders who do NOTHING for ‘OUR Community’ and indeed treat ‘US’ with racial distain and as second-class citizens, with legalized physical BOYCOTTS for three to six months, backed-up by leafleting to local resident’s homes and businesses, and have T-shirts/sweatshirts, bibs, for Boycott protestors to wear, as well as umbrellas with the UK Black Family Household UNION and One Million Households name. This will cost around £4,000 to £6,000 perhaps as much as £10,000 for a typical Boycott. The physical boycotts will also create a wonderful opportunity to raise awareness of the One Million Households Campaign, and to sign-up New UNION Members or get the contact details of Supporters, as they walk pass, which should number a few thousand over the three to six month Boycott. We need to have enough Members and Supporters to know that we can Boycott a 24hr shop and have Boycotters outside 24hrs a day, seven days a week for three months at least. Over all, each major city the Shield Partnership Scheme operates in should create 20 permanent PAYE JOBS, as Inspectors, around 200 JOBS nationally with the Household UNION. Not to mention the 10% indirect and direct contractual work to produce the Shield logo on merchandise, signs and posters and large window stickers. My brother, seeing this very long URL, and wanting share it on Twitter, in particular, I thought I might pass on a tip of ‘KIS’, ‘KEEP IT SIMPLE’ which I’ve learnt on WordPress, it may indeed apply to all blogging sites. Which is simply, to make the initial publish title of your blog, as short as possible. So in this example just ‘7th-pan-african-congress’, as a title when you ‘Publish’ or ‘Save’ it, then to add-in any longer necessary title after publishing via Edit as the blog will not change from it’s original short tile. 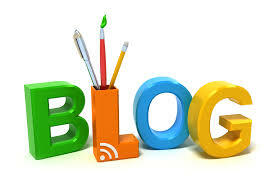 we have over 24,000 One Million Households suporters who have a chance to enjoy your blogs too. Please checkout the Voice newspaper link below too… Thanks…. Human zoo exhibition featuring black people in chains is closed down after protests – Telegraph. London’s Black community says; NO! – NOT IN OUR BACKYARD… to human zoo depicting African people as specimens for the eyes of others. Please kindly follow like and #pleasekindlyshare One Million Households on Google+ with your friends… Thanx! 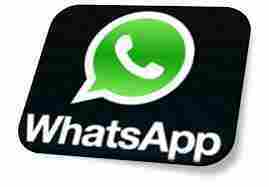 WhatsApp add 07983611181 to your contacts and send your name. 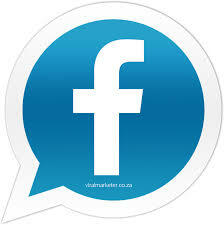 Let’s use #ourCommUnity Facebook it existed first just like #US BlackNet.co.uk check it out! ‘TOP 100 Hall of Fame’, above, The Hall of Fame’, list One Million Households Facebook.com group members whom, regardless, have ALL added more than 100 UK Friends to the One Million Households™, Facebook.com Group. Just adding 100UK friends from Facebook.com gets your Facebook name on the list! Please, show your kind Support, by distributing via email or sharing on Facebook.com or sending the Manifesto page URL via Twitter.com to your Twitter followers! Let’s spread the word! The AIMS of the One Million Households online Campaign is to have a UK Black Family Household UNION & UK Black Parliament. To represent the ‘public’ and ‘private’ spending power of OUR combined UK African Households and thus, the Blackpound in respect of OUR combined spending in the ‘public’ and ‘private’ sector of OUR 6m core and 14m legal relations, extended UK Residents. 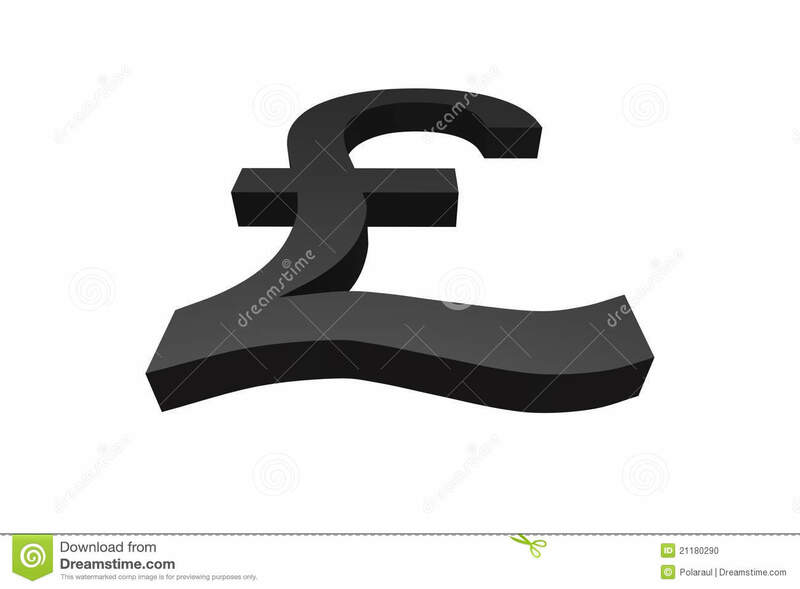 To create a Blackpound Economy, by increasing the circulation of money with regards to; spending, banking and saving of the Blackpound within OUR UK African Community, by strategically, creating more businesses and an economy of spend and production within OUR core 6m UK Black African Community (UKBAC). Household Name – The overall ‘mutual society’ name will NOT be or have the term Black, African or Caribbean or any, racial, social, or religious orientation connotation or connection. It should be more neutral like the Central Strategic Policy Administration. However, in the first decade or so, the terms African or Black Family Union is necessary to getting across the message of what the UNION is about and who it’s to reach and benefit. Once people and organizations WE represent, deal with and liaise with become familiar with what WE are about the neutral name more like the Central Strategic Policy Administration may be used more. Though, this will exist from inception legally, as the ‘overall body’ responsible for the UK Black Family Household Union, the UK Black Parliament and One Million Households, Blackpound Campaign, which the Parliament will essentially work for and represent. WE certainly want the overall organization to have a name which will be taken seriously, and be something some one will mention with ‘pride’ when asked; ’where do you work?’ or ‘what do you do?’, whilst not being racially, socially or religiously biased as WE need to reflect ‘OUR Households’, which are made-up and consist of more than just African, Caribbean, or European Anglo people. WE need to ensure its name is as neutral as possible with the only reflection being, what the Administration’s about in relation to ‘OUR Households’ and the core 6m people and extended 14m with whom the core 6m have legal relations – Central Strategic Policy Administration representation. Legal Structure – A Mutual Society (in which every Member will have an equal shareholding) which will itself as a Mutual Society own OUR PLC companies – Thus creating JOBS and a shareholding Society among 20M UK Residents made-up of UK African people, their families and loved-ones, who have a BIOLOGICAL or LEGAL relationship with them. The number of people in the UK which falls within this BIOLOGICAL or LEGAL relationship category is between 12 and 14 million people from none African backgrounds. African’s in the UK, make-up some 4 million people, however, the number of none African people we have LEGAL or BIOLOGICAL relationships with is at least three times that number and likely to be as much as four times this – 14/16M people in the UK who have a BIOLIGICAL or LEGAL relationship with a UK African resident, many living under the same roof… This Campaign is about realizing this FACT and using it as a socio-economic STRENGTH, to represent the TRUE REAL DIVERSITY of ‘Our Households’ in the UK, which due to the Commonwealth and slavery is truly UNIQUE! – A 20 million STRONG social economic group of people of ALL races, ALL religions, ALL social groups – 20m UK residents – nearly one-third (33%) of the 70m UK population – THAT’S ECONOMIC STRENGTH! TRUE REAL DIVERSITY ­– Firstly, something NOT seen before, on BOTH sides of the Atlantic… We are already looking at ‘Our Households’, ‘Our Racial Group’, as NOT a minority of 4 million. But TRULY seeing ‘Our Community’, for what it is, it’s TRUE REAL DIVERSITY, due to these BIOLOGICAL and LEGAL relationships – A 20 million STRONG socio-economic group, of people of ALL races, ALL religions, and ALL social groups. Networking Events & Conferences – The networking events & conferences will be aimed at getting the message across of what the FAMILY HOUSEHOLD UNION’S AIMS and OBJECTIVES are in a manner which will encourage direct participation the length and breath of the UK. Whilst providing a prime opportunity for UNION Membership recruitment at £298.00 per time. Membership Shares – Each UNION Member will own FIVE shares in the UNION at £10.00 each, worth a total of £50.00. Any ADDITIONAL SHARES EARNED as a ‘reward’ MUST be HELD for 3 YEARS, before being able to be sold or transferred, from inception. The share ownership can be the vital catalyst, which may cause a young man or woman to begin to plan a future, a hope for; home ownership, university education, a career, a business, a car… This will help to widen understanding of shares and create greater share ownership within ‘Our Households’, which can bring a crucial sense of belonging, and pride, as well as UNITY within ‘Our Community’. PLC – Public Limited Company Shares – Share ownership through the ownership and control of ‘OUR OWN’ PLC companies means, WE will once again create even wider share ownership within ‘Our Community’, whilst creating the genesis and foundation of ‘OUR OWN ECONOMY’, as a similar share entitlement will again exist here in respect of ‘OUR’ PLC. Membership Fees – Each UNION Member paying £298.00 per year (£5.74 per week) will for the first time, give US as a ‘community’ the financial resource to afford ‘OUR OWN’ Administration of ‘OUR unique affairs’ in the UK and allow US, ‘OUR OWN’ Prime Minister and 25 strong economic and social affairs Cabinet, whilst creating the genesis and foundation of ‘OUR OWN ECONOMY’. Membership Reward Points – 50 Membership Reward Points equivalent to £50.00 + 5 extra shares, each time worth £50.00, will be given to any UNION Member introducing 1 to 12 NEW Members every year. This will immediately create a £100.00 value return opportunity 12 X over (£1,200) for ALL, UNION Members and create flexible And FULL-TIME JOB opportunities. These REWARD POINTS will be accrued by each UNION Member and may be accepted and spent with the Household UNION, other Members and nominated businesses within OUR Community. Tax Saving – Tax savings will be made on ALL the Reward Points spending within ‘OUR Community’. This means, Members will receive the FULL benefit of the Reward Points without paying any income tax upon the amount. The income tax savings alone in two years amount to more than the (£298.00) one year Membership with an automatic £1,200 (including shares) per year earning opportunity at £50 + 5 shares, for each NEW Member an existing UNION Member introduces to the Household UNION. Crisis Emergency Family Support – This is an urgently needed support mechanism in ‘Our Community’ in its sad current state. We have 490 deaths in custody every year, plus another 300 deaths annually due to gun and knife crime, violent crime. Unique to this, some 3 to 10 deaths occur each year due to racial violence as a direct result of ‘racism’. Racial attacks are a social menace… ‘Missing persons’; sadly, all too frequently, these sad incidents start off as, a ‘missing person’s report then develop into a violent crime incident. The Crisis Family Support Team will be able to Support Families of ALL racial groups, who suffer this, form of extreme Family Crisis, by providing FULL SUPPORT 24 hours per day, 365 days per year at a cost of around £250,000 per year to begin with, rising to around £5m pa. One of the best ways of funding this will be through a perpetual Trust Fund of say £100/150m. Even this £100/150m Trust Fund amount can be invested in OUR OWN ECONOMY helping new and existing business ventures at a 20% interest rate per annual, thus, guaranteeing the continual existence of the Crisis Emergency Family Support Team. The initial £10/15m required to set-up the Trust Fund should come from the corporations we disproportionately spend with as customers. Or failing this, countries of the African Diaspora or the Vatican Bank, as we as African people on this planet, make-up the largest Catholic Community in the world! Cash Reward Fund – This will provide a sum of money which will be made available to families immediately from the ‘missing person’s’ stage of the Crisis Emergency Family Support Team intervention, of at least £20,000 and up to £5m (£50,000) in most instances). And will be available as a GBH and Murder REWARD Fund too. The Windrush Generation Film Archive Project – WE are about to lose OUR elders, OUR senior citizens, the very seed, from which we came… Who have a mass of stories and life experiences to be told which can be past on to the future generations. The Windrush Generation Film Archive Project – will be aimed at videoing 100’s of Caribbean people who traveled to the UK during the 1950’s and 60’s Windrush years on HMS Windrush. The ‘archive’ footage will be made available online for viewing, download and sale in DVD and Blue-ray format. The film project may take some 5 to 10 years of capture, creating 100’s of JOB opportunities, in what might one day become the beginning of OUR OWN ‘UK African film industry’. The Windrush Generation Film Archive Project will cost around £5m to undertake and should generate great viewing over the next century for tens of thousands of people. Youth Music School and Studios – Our young people are too often disengaged and a music project, which will give passionate musicians, song writers, produces and engineers, a FREE place to learn and be taught, music and related subjects, along with the practicality of how to go about working in the music industry, the elementary legal aspects, pitfalls etc. Where they can go and work on their own music, daily, 24 hrs per day to produce music which might allow them to exploit the only God given natural talent and aptitude they have. With some sponsorship funding from the corporations we disproportionately spend with as customers. WE need to be talking to potential sponsors over the next two to three years, whilst rallying the core support of many of the existing online Facebook Supporters that the One Million Households Campaign already has. The Legal 500 Club – 500 pence per month – Legal Fees, Scholarship, Civil Liberty and Human Rights Fund. Legal cases to be brought where Members of the Legal 500 Club could otherwise NOT afford to or NOT get Legal Aid, in circumstances where it’s decided that the case ‘merits’ and has a ‘social benefit’ and ‘interest’ to the betterment of the wider UK African Community and or ‘Our Households’ generally. Scholarship Funding which will provide financial support to ‘Our Children’ allowing them to become Lawyers – The next generation of qualified Barristers and Solicitors, who ‘WE’ will have a greater say and control over as regards; the input and contribution they make back to ‘Our Households’, and ‘Our Community’. By going into schools and colleges to identify this potential ‘talent pool’ earlier’. So that even from a young age of say 14 years old, children can be making a time and effort contribution with their skills to the ‘Community’ in return for the financial support and aid, in Scholarship Funding, and expenses, which will cover the financial cost of legal education from beginning to end. And even some support with establishing legal practices later on in life. Community Human Rights and Civil Rights Cases – The Legal 500 Club would also be contributed to by existing firms and individual solicitors and barristers (Lawyers). Who would pay £500 per month and give-up 500 hours per year of ‘FEE Earners’ time, in support of the Legal 500 Club, which will contribute enormously to the Legal 500 Club funds and the Legal 500 Club’s development long-term. Debating Societies – The Legal 500 Club should also establish and support ‘debating societies’ in schools and colleges that will aid the identification and development of the natural aptitude of ‘Our Young people’. Third-Party Driver Insurance Bond – This is going to be one of the UNION’S first tasks, as we have African men, from ‘Our Community’ having their cars confiscated by the Police. Who WE know of course stop African men in particular, (disproportionately) saying; ‘It’s just routine’. This has a negative knock-on effect, as regards stress, loss of employment, prison sentences too, if a driver’s on a ban already for having NO THIRD-PARTY’ insurance. The ‘Insurance Bond’ will cover ALL Union Members automatically – male or female, black or white, rich or poor, regardless of; social, religious orientation. The Driver Insurance Bond will cost around £500,000 and up to £3m to begin with, as Membership rises it should end at around £5 to £10 million. This will create a few JOBS in the administration of the ‘Bond’ and more so, 100’s of permanent PAYE JOBS, selling Membership to the UNION by Membership Registrar’s. This ‘Bond’ money will also be working for ‘US’ to guarantee loans to ‘Our Business Sector’, in respect of UNION Members. So it will work four-fold… From this, we can move-on to offering the ‘Full Comprehensive’ vehicle insurance. We are all aware that Blackmen love their cars… Let’s make this ‘work’ for ‘US’ as a ‘Racially Based Household Community’ (RBHC), in a way which will take ‘US’ from ‘Community2Society™’… We can then become a commercial Insurance Company, even Insurance Underwriters, a ‘Syndicate Member at Lloyds of London, the international Insurance market… Now ‘WE’ strategically give the Police one less reason for harassing African men in ‘Our Community’… Whilst giving them the opportunity to earn the necessary money for the essential mandatory ‘Road Fund License’ and MOT. This will develop to cover ALL essential mandatory insurance such as; ‘Public Liability’, ‘Employers Liability’, ‘House Building’ for mortgages etc… Creating up to a hundred JOBS! 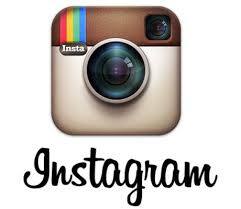 Whilst strategically ‘raising the profile’ of ‘Our Community’ in the UK on the international stage. This will be the beginning of’ ‘Our Own Economy’… This is just one of over 30 main benefits to HOUSEHOLD UNION Members – far too many benefits, with 125+ other benefits to name and list in just a few pages. Partners/Pardners – ‘Partners’ or what OUR parents would pronounce ‘Pardner’. It needs to seriously be revised and revived. However, this time, it needs to be monitored BY US! – The ‘Partners’ Scheme needs to have a guarantee fund in case of fraud or other loses, just as the main banks guarantee the first £85,000 of your Deposits. What WE could do ‘commercially’ with a ‘commercial’ business version of ‘Partners’, and OUR OWN Partners Scheme, as well as OUR OWN Business Link, business support network; is just like the Asian business community have. In the Asian business community they lend money to each other, and work for each other for low pay and learn about a business so they can access the backing, support and funding to start one of their OWN! Something I found profoundly upsetting recently was hearing about ‘peer-to-peer’ lending; where people lend each other money at a slightly higher return than the main ‘High Street’, banks. This is very much the ‘Pardner’ scheme that many of OUR parents, used to get a deposit from to access a mortgage! This ‘Partner’s’ concept is vital for US. We have lost it due to ‘Store Credit’ and now ‘Credit Cards’. WE will do even better when WE have a ‘commercial version’ of ‘Partners’, where WE have surety in the money deposited, and a licensing scheme, and monitoring, where WE control the Operators and Administrators of the ‘Partners Schemes’. However, it does need to be monitored this time and have a guarantee fund in case of fraud or other loses, just as the main banks guarantee the first £85,000 of your Deposits. WE have also lost a most VITAL element in this type of business – The TRUST that WE repose in and give and take from each other. This is so soo VITAL to the development of OUR OWN ECONOMY! WE as second, even third and forth generation African people on this ‘small island’ have lost this… Moreover, given the diversity WE have in religious and faiths, WE need to have something… A bond of TRUST that holds and binds US TOGETHER! Talent Awards – WE should have OUR OWN UK Households Talent Awards to encourage and Support those in ‘Our Households’ who truly have a talent and moreover the desire, and ability to create JOBS! In business, art, science and sport… With CASH awards from £50,000 to £1,000,000! UK Lottery online – WE have through OUR churches and community groups thousands of outlets, where WE might be able to online and offline develop OUR OWN lottery, which will of course create millionaires within OUR OWN COMMUNITY. Where the profits and administration will benefit OUR OWN COMMUNITY… So WE will be WINNERS! – Every week, every draw! As the ‘good causes’ the lottery benefits, will ALWAYS be in ‘Our Community’. The UK charity sector, have done this, to success. WE have put a lot into the National Lottery, as working-class people, with much of the ‘good causes’ money NOT going the causes or organizations which directly or in too many cases, even indirectly benefits US as working-class people, moreover UK African residents. If WE have a lottery, ran by US for US, participated in by US… Then… only WE can WIN! WE should in a decade be able to create more million pound prizes, more millionaires than WE have gained from the National Lottery… Whilst helping ‘Groups’ in ‘Our Community’. If WE are the ONLY people doing OUR lottery, then, ONLY WE can be WINNERS! Embassy – WE need to have an embassy, a place which people can call easily and have an address to go to or call upon (in person) in the time of need. Somewhere from which, OUR Foreign Secretary, can administrate, and liaison with African and other countries, with which WE have racial, religious and economic connection, which includes the likes of Rome and the Vatican Bank. The Embassy will provide a walk-in reception where members of the UKBAC can pop-in freely and discus any social-economic problems or challenges, aims, ambitions they might indeed be having with: accommodation, housing, employment, starting a business or domestic issues. The Embassy might even offer ‘asylum’ to UNION Members. Freephone Number – ‘Our Community’, must be able to call ‘OUR’ special FREEPHONE number too, in any emergency situation. The FREEPHONE number can have additional cost funded by advertising online, whilst callers are waiting. Also the generation of advertising based text messages. Moreover, mobile phone network operators such as T-Mobile who WE disproportionate spend £30 to £50m per week with should provide calls to this number FREE of charge. Business Angel Finance – Business Advice – Business Networking – Business lunches and meetings. Businesses seminars and workshops – Sign-posting to sources of finance. Long-Term Finance – Finance for The Biziness Exchange™ premises can primarily come from a Diaspora loan and commercial mortgage. Income: coming from renting; virtual-workspaces, offices, meeting rooms, conference facilities, and commercial concessions for Café, Restaurant, Bar, and retail concessions/shops. This is a long-term 20/25 year plan. The Membership Registrar’s on a FULL-TIME PAYE and Bonus will mean Membership Registrar’s will be able to earn approximately £60,000 per year, on a basic salary of £20,000/25,000 with mobile phone and palm-top, and laptop as part off the perks. The number of jobs possible is based on a typical Borough’s, electoral wards, so one Membership Registrar covering three wards means a typical city Borough having 12/15 Membership Registrar’s x 32 London boroughs = 480 x 13 cities = 6,240 nationally. Therefore in the infancy of the UNION, Membership Registrar’s is by far the greatest potential for job creation, potential customers for OUR OWN: Credit Card, online Bank, Building Society, Insurance Co, Soft Loans, etc. which again along with the UNION Members creates a key core, of tens of thousands of Customers for other financial and shopping services, which will also bring benefits to the Members. Whilst generating income for the UNION, which will aid the UNION in meeting UNION AIMS and OBJECTIVES, particularly in education, community and voluntary sectors. The Retailer Partnership Scheme/Shield Scheme – Inspectors in this retail scheme will create some 64 jobs in London alone and over 632 jobs nationally. Customer Guarantee Scheme – The Scheme should play a crucial role in encouraging people to do ‘business’ with African owned businesses (particularly in the retail sector) by providing a guarantee of your MONEY-BACK if the trader is basically a dishonorable person or the business goes bust or into liquidation.. Where certain goods or services are concerned, the Customer Guarantee Scheme will cover goods and services, as well as business transactions, were the ‘Customer’/’Buyer’ is reliant upon the other to DELIVER once goods have been paid for. The reality at the end of the day is; people too often are reluctant to ‘deal’ with a typical ‘African Owned’ business. Which is why, it’s harder for a Black owned business to gain finance and loans to succeed, especially where the ‘face’ of that business is Black. A second-hand shop, dry cleaners, estate agents, owned by an African proprietor simply does NOT attract customers in the same way, as other racial counterparts. The Customer Guarantee Scheme will provide this ‘peace of mind’, and ‘financial surety’ that; if you paid or made a deposit with an African owned business in the Customer Guarantee Scheme, where ALL else fails, you’ll get your MONEY-BACK, if goods are NOT up to standard, if the retailers own word, or even written guarantee fails. Then, where they are a part of this Customer Guarantee Scheme, as a customer, you’ll get your MONEY-BACK. Radio Show Syndication – The preparation of professionally presented prerecorded radio shows will allow main radio stations to buy shows about the UNION for broadcast, and the income from this will help to cover cost, which will allow the shows to be syndicated to new less established radio broadcaster enterprises, giving them some 2 to 4 and up to 8 hours of broadcast each week. Whilst, allowing us to get across what’s happening within the UNION and provide UNION Members with a forum to raise awareness of their own enterprises, organizations and make community appeals. Providing a key source of information and raising awareness of the UNION with people who are NOT online. This will lead to OUR own online and FM ‘talk radio’ station. WE as the UKBAC need a radio station which addresses the issues crucially unique to US, which covers; business issues, politics, economics, law and legal advice. Has interviews with up and coming community activist, leaders, community groups, with quality phone-in shows. News bulletins, business news, ‘what’s-on’ ‘what’s happening’, OUR OWN business Index reports, interviews. Celeb news which is not negatively focused… Themed radio programme’s, which can be ‘syndicated’ to other FM and online radio stations. This will help so many of OUR existing radio stations to have quality broadcast material for ‘dead-time’, night-time or low listener broadcast slots. Centre Page Press Newsletter Supplement Syndication – The provision of a 1/3 sheet tabloid spread which can go into existing tabloid newspapers with NEWS and updates about the UNION and its Members, will provide information and spread awareness to people who are NOT online. The Newsletter Syndication will provide a source of regular income for OUR UKBAC ‘media’, which WE are in serious risk of losing… WE have already in the past decade lost at least four of OUR African Caribbean newspapers. The Voice is one of OUR last newspapers and it’s crucial that WE keep it! Monthly, 4hr street giveaway promotions of 1,000 to 3,000 copies of The Voice newspaper with the Newsletter Syndication Supplement inserted in the centre, means a source of income say £160 per month for a single parent, or student, doing the street hand-outs, which could mean a different shopping list at the end of the month – That person, not having to leave goods at the super-market check-out. For the Voice Newspaper, this could mean a regular £1,500 to £3,500 per month income and the raising of awareness and readership, which may lead to purchases of the Voice newspaper, increasing the Voice’s weekly sales, circulation and subscription. Long-term to get the message and awareness across WE may have to have quarterly inclusions in other tabloids read by the ‘wider-society’, such as; the Guardian, Daily Mail, also, local authority borough, trade union, society newspaper freebees. This should get the message of the UNION across and create greater awareness of the role, activities and AIMS and OBJECTIVES of the UNION whilst of course increasing UNION Membership by thousands per month. Administration – The Prime Minister and Cabinet – These staff will be in lower numbers, but of the ‘highest caliber’ in terms of experience and capability, and will send a crucial message about the development of OUR COMMUNITY, taking it from ‘Community2Society™’, whilst raising the overall profile and image of the UKBAC on the international stage as this has NOT been done before on either side of the Atlantic… This will be US, in the UK, creating a CRUCIAL Administration for the management and administration of OUR economic and social affairs UNIQUE to OUR UKBAC and ‘UK Households’. These other Cabinet roles need NOT be full-time in the infancy years. However, Cabinet members will be PAID for work done and moreover for attending weekly Cabinet meetings. Through advertising, and Membership feed-back, WE should easily be able to have ‘’Our Own PM, recruited openly, with final short-listed applicants selected by existing UNION Members in open vote. UK Black Parliament Ministers – Ministers will have a crucial role in executing the aims and objectives of the ‘Household UNION’s’ Prime Minister and Cabinet, making sure plans are well resourced and executed as speedily as possible. Ministers will have hourly to part-time paid roles, leading to full-time employment, with set Portfolios, laying out their ‘ministerial task’. To begin with, the key Ministers will naturally be ones engaged in ‘income generating’ roles, such as: Membership, Campaigning, Business, Trade and Industry, Enterprise, Business Partnerships, Procurements and Media. The UNION essentially needs to source and find people capable of adding such roles to their existing jobs or better those in ‘Our Households’ who are currently unemployed, therefore creating NEW JOBS. The £298.00 Membership fee and joint placements, with wages being subsidized 50/50 and up to 80/20 by relevant benefiting organizations, government, and private sector companies, who WE as a core 6m UKBAC spend money with in disproportionately high amounts. Ten to fifteen new Ministerial appointments per year should see the Black Parliamentary side develop organically in a progressive way sufficient to address the national and international Administration of OUR economic and social affairs. Ambassadors – The Ambassadors will be the ‘face’ of the UNION, key to potential loans income, relations and liaison with other countries, national UK and international organizations and corporations. As with the Parliamentary Ministers, WE only need have a few essential Ambassadors to regions: The Caribbean, African continent, Faiths (The Vatican), United Nations, (UN) and European Union (EU) Trade Union Congress (TUC) to begin with. And take it from there, on a needs basis. Administrative Staff – This includes ALL those who work in the background to deliver the services. Receptionist, Secretaries, Clerks, Typist, Telephonist, Administrative Assistants, Security Guards, Fraud Investigators, Loss Adjusters, Drivers, Messengers. On average, this will represent some 5/7% of the total ‘front-line’ staff or larger staff numbers mentioned here previously, moving progressively from 5-10 people to 70-100+. 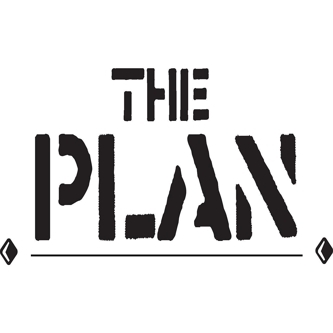 WHAT ARE WE DOING TO MAKE THIS PLAN HAPPEN? – WE are about to source some seed finance from existing similar affiliate and membership organizations in the UK and should then be looking to secure some corporate sponsorship from companies in the sectors which WE as a ‘Community’ spend with in disproportionately high amounts, in terms of 5 to 50 million pounds weekly. What’s Needed Now – WE ALL just need to get behind this idea to take it from idea to reality, putting OUR children and the elders in OUR ‘Community’ FIRST! FEEDBACK – Your kind views and opinions – Your views and opinions should indeed be most appreciated on the Manifesto’s proposals. You could simply copy and past the whole or relevant paragraphs, and ADD your comments below, which should make it easer to type your kind feedback and save you, having to explain what proposal /s your comment relates to. TO JOIN, TO ADD YOUR NAME, YOUR VOICE, YOUR LINKS, YOUR NETWORK, YOUR CLOUT! The ignorance of the oppressed is the oppressor’s greatest weapon.